Benjamin Soskis, who has been working for us on our history of philanthropy project, has completed a case study of philanthropy’s impact on the 2010 passage of the Affordable Care Act (ACA). The case study focuses first on the Atlantic Philanthropies’ funding of Health Care for America Now! (HCAN), as well as on HCAN’s activities and impact. The second part of the study surveys the activities of other funders involved in health care reform, such as the Robert Wood Johnson Foundation, the Kaiser Family Foundation, and the Commonwealth Fund. This is the fourth post in a series about geomagnetic storms as a global catastrophic risk. A paper covering the material in this series was recently released. I devoted the first three posts in this series to describing geomagnetic storms and assessing the odds that a Big One is coming. I concluded that the iconic Carrington superstorm of 1859 was neither as intense nor as overdue for an encore as some prominent analysts have suggested. (I suppose that’s unsurprising: those who say more-alarming things get more attention.) But my analysis is not certain. To paraphrase Churchill, the sun is a riddle, wrapped in a mystery, inside a corona. And great harm would flow from what I cannot rule out: a blackout spanning states and lasting months. I shift in this post from whether the Big One is coming to what will happen if it does. And here, unfortunately, my facility with statistics does less good, for the top questions are now about power engineering: how grids and high-voltage transformers respond to planetary magnetic concussions. We previously decided to cap the amount of funding we would request from Good Ventures at 20% of GiveWell’s operating budget (more in our October 2013 blog post). When we initially set the cap in October 2013, the Open Philanthropy Project (then called GiveWell Labs) was a small part of our overall budget. Now, it accounts for approximately 50% of our operating expenses (primarily staff salaries). We plan to post a complete update on our fundraising needs at the end of the year. Attachments D and F from our most recent board meeting provide a limited update on our current situation. Note: this post aims to help a particular subset of our audience understand the assumptions behind our work on global catastrophic risks. One focus area for the Open Philanthropy Project is reducing global catastrophic risks (such as from pandemics, potential risks from advanced artificial intelligence, geoengineering, and geomagnetic storms). A major reason that the Open Philanthropy Project is interested in global catastrophic risks is that a sufficiently severe catastrophe may risk changing the long-term trajectory of civilization in an unfavorable direction (potentially including human extinction if a catastrophe is particularly severe and our response is inadequate). One possible perspective on such risks—which I associate with the Future of Humanity Institute, the Machine Intelligence Research Institute, and some people in the effective altruism community who are interested in the very long-term future—is that (a) the moral value of the very long-term future overwhelms other moral considerations; (b) given any catastrophe short of an outright extinction event, humanity would eventually recover, leaving humanity’s eventual long-term prospects relatively unchanged. On this view, seeking to prevent potential outright extinction events has overwhelmingly greater significance for humanity’s ultimate future than seeking to prevent less severe global catastrophes. Could Raising Alcohol Taxes Save Lives? I’ve just posted a review on the effects of alcohol taxes on alcohol consumption—and on the lives that alcohol abuse can cost. This literature review is unusual in the degree to which it replicates the studies it examines, so I have called it a “replication review.” Data, code, and spreadsheets are here. The literature on this topic is large, and at first glance it seemed that the high-quality studies contradicted each other. Yet as I dug deeper, I found a pattern: the larger the experiment—the larger the price change—the clearer the effects. In the end, I believe the preponderance of the evidence says that higher prices do correlate with less drinking and lower incidence of problems such as cirrhosis deaths. And I see little reason to doubt the obvious explanation: higher prices cause less drinking. A rough rule of thumb is that each 1% increase in alcohol price reduces drinking by 0.5%. Extrapolating from some of the most powerful studies, I estimate an even larger impact on the death rate from alcohol-caused diseases: 1–3% within months. By extension, a 10% price increase would cut the death rate 9–25%. For the US in 2010, this represents 2,000–6,000 averted deaths/year. This is the third post in a series about geomagnetic storms as a global catastrophic risk. A paper covering the material in this series was just released. 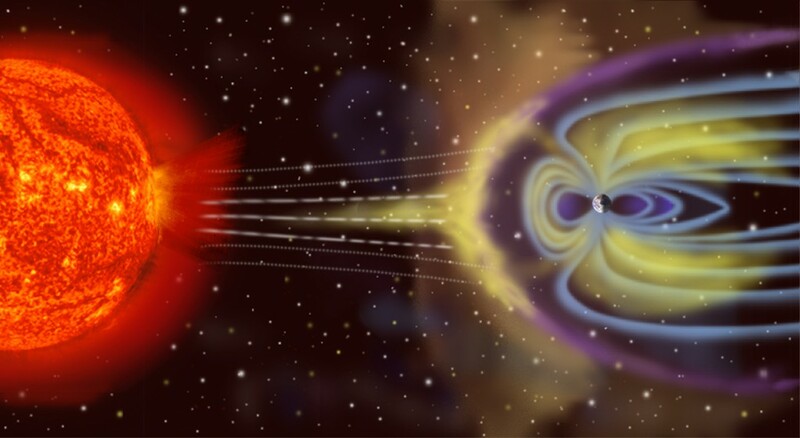 My last post examined the strength of certain major geomagnetic storms that occurred before the advent of the modern electrical grid, as well as a solar event in 2012 that could have caused a major storm on earth if it had happened a few weeks earlier or later. I concluded that the observed worst cases over the last 150+ years are probably not more than twice as intense as the major storms that have happened since modern grids were built, notably in 1982, 1989, and 2003. But that analysis was in a sense informal. Using a branch of statistics called Extreme Value Theory (EVT), we can look more systematically at what the historical record tells us about the future. The method is not magic—it cannot reliably divine the scale of a 1000-year storm from 10 years of data—but through the familiar language of probability and confidence intervals it can discipline extrapolations with appropriate doses of uncertainty. This post brings EVT to geomagnetic storms. This is the second post in a series about geomagnetic storms as a global catastrophic risk. A paper covering the material in this series was just released. My last post raised the specter of a geomagnetic storm so strong it would black out electric power across continent-scale regions for months or years, triggering an economic and humanitarian disaster. How likely is that? One relevant source of knowledge is the historical record of geomagnetic disturbances, which is what this post considers. In approaching the geomagnetic storm issue, I had read some alarming statements to the effect that global society is overdue for the geomagnetic “Big One.” So I was surprised to find reassurance in the past. In my view, the most worrying extrapolations from the historical record do not properly represent it. I hasten to emphasize that this historical analysis is only part of the overall geomagnetic storm risk assessment. Many uncertainties should leave us uneasy, from our incomplete understanding of the sun to the historically novel reliance of today’s grid operators on satellites that are themselves vulnerable to space weather. And since the scientific record stretches back only 30–150 years (depending on the indicator) and big storms happen about once a decade, the sample is too small to support sure extrapolations of extremes. This is the first post in a series about geomagnetic storms as a global catastrophic risk. A paper covering the material in this series was recently released. The Open Philanthropy Project has included geomagnetic storms in its list of global catastrophic risks of potential focus.